Marc Collette is a third generation stone mason and the president and founder of Artistic Stone Co. and ViewCrete, a sister company that restores distressed concrete driveways, walkways, patios, flooring, and other structures. Marc was first introduced to art by his Mother and schooling at Worcester Art Museum. One of his earliest inspirations for stone masonry came from the “Turtle boy” sculpture on the Burnside Fountain in Worcester, MA. From the age of 8, Marc walked by this turtle sculpture everyday after school for two years, always stopping to admire the artwork. Marc had reservations about how unrealistically the water squirted from the turtle’s mouth and this instilled a desire to create a more natural and realistic approach to flowing water in sculptures, waterfalls, fountains, and other works of art. Marc has been working with Artistic Stone Co. to create natural and faux stone sculptures, waterfalls, and unique custom projects since the mid seventies. His work has been featured in Better Homes and Garden magazine, and he has done projects for The Children’s Museum of Boston, MA, the Lawrence Hall of Science in Berkley, CA, The Glen Eyrie Castle in Colorado Springs, CO, and has worked for a long list of clients throughout the United States. 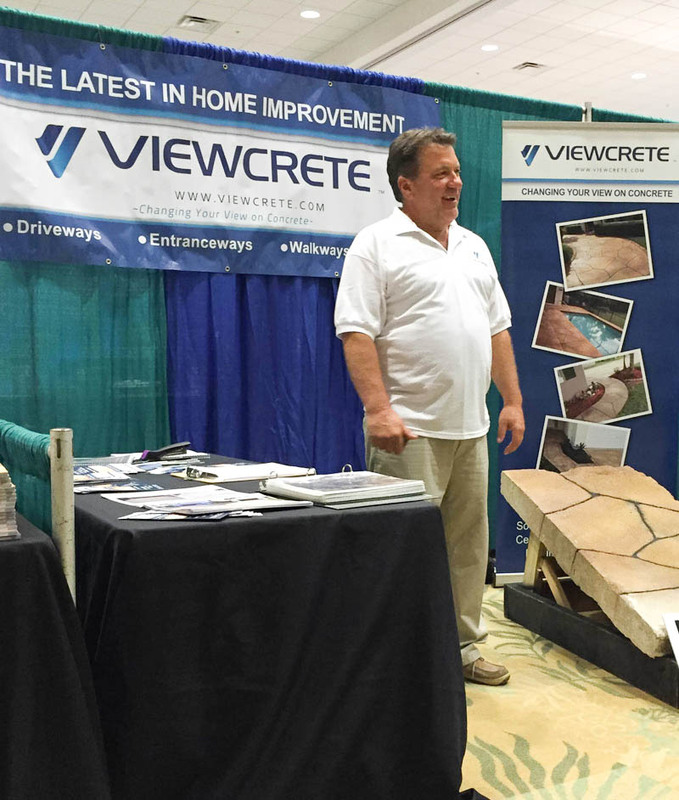 Marc takes pride in all of his projects and continues to produce beautiful new surfaces from new or existing cracked and stained concrete with his newest innovation, ViewCrete. His invention helps save the environment from the energy intense process of removing and replacing concrete, while also saving customers money.